I paid $29.96 for this (with tax) and I absolutely love it. It’s generously sized and the canvas is durable. It’s perfect for spring and I’m using it for those days when I’m heading to work with way too much stuff to fit into my regular purse. It’s lovely and cheerful and I’m happy to have it in my wardrobe. 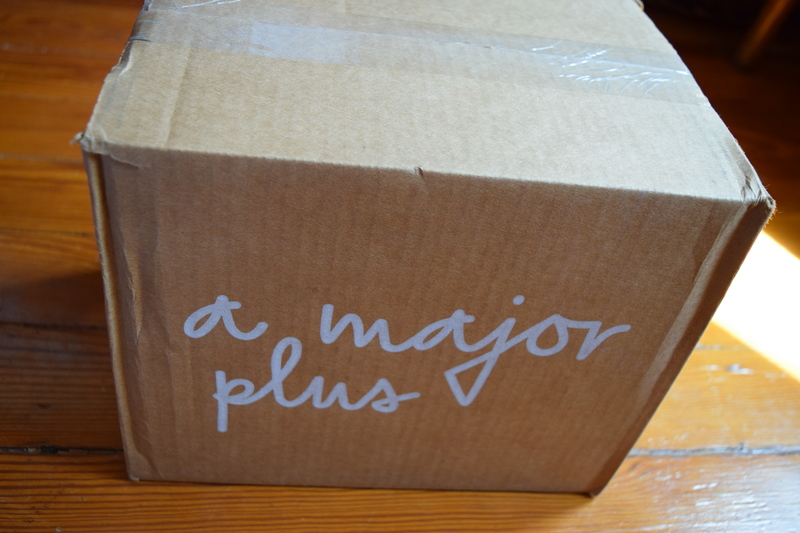 How gorgeous is this box? Seriously. I am going to find some super awesome use for this so I can display it. The Rifle Paper Co needs to make more home décor items because I would probably spend enough there to put their kids through college. 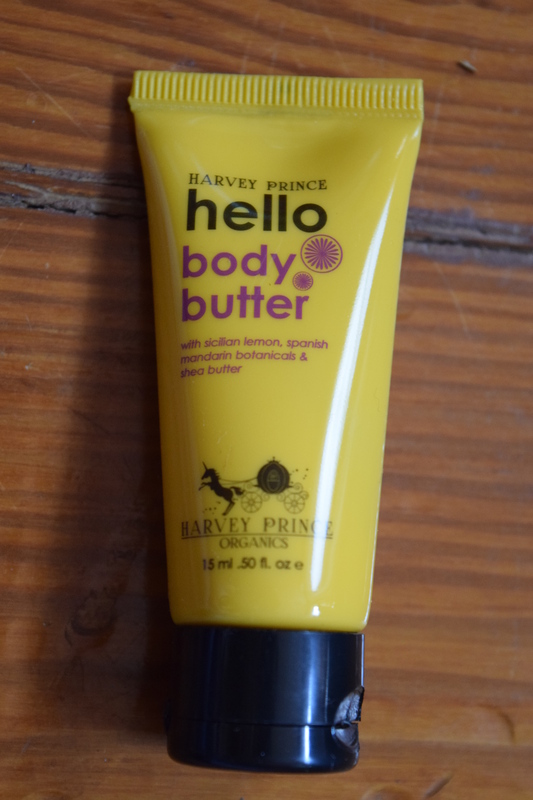 Harvey Prince is a brand that shows up a ton in Birchboxes but most of the products I’ve received from this brand I’ve enjoyed. I’m going to set this aside for that awesome travel kit I’m building. I like hair oils as much as the next girl, but I have a ridiculous amount of them from sub boxes. It seems like we either get hair oil or dry shampoo in every box. I’m also not crazy about the packaging on this. It seems more likely to make a mess than to be useful. 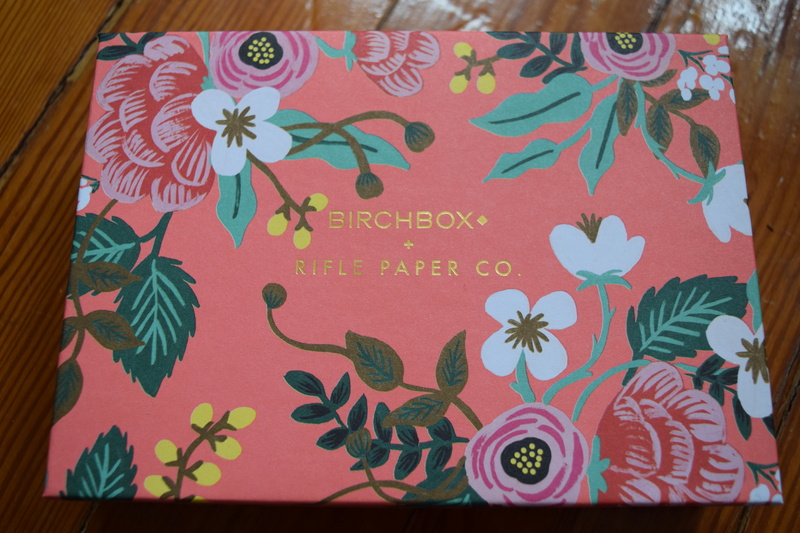 What would my Birchbox be without something from Supergoop? Last month, I got a Supergoop! CC cream and my opinion on the brand hasn’t changed. 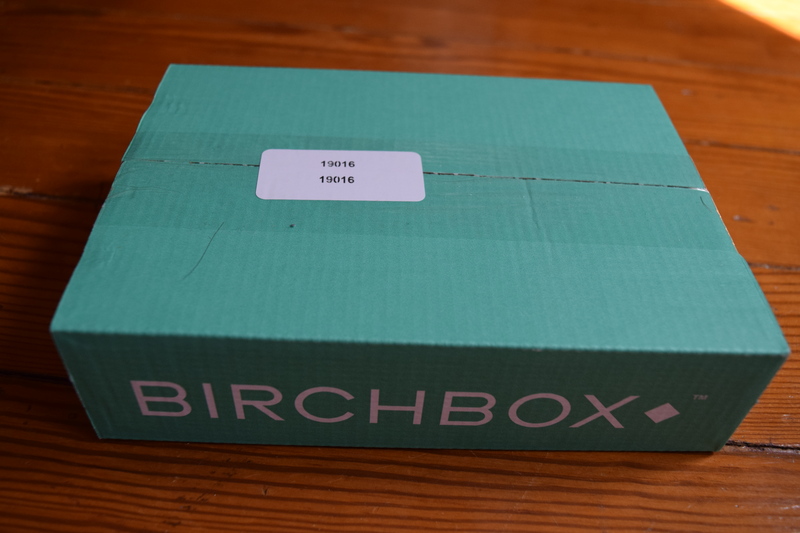 It’s not for me Birchbox..can you hear me? Please send me a damn box without something from Supergoop! 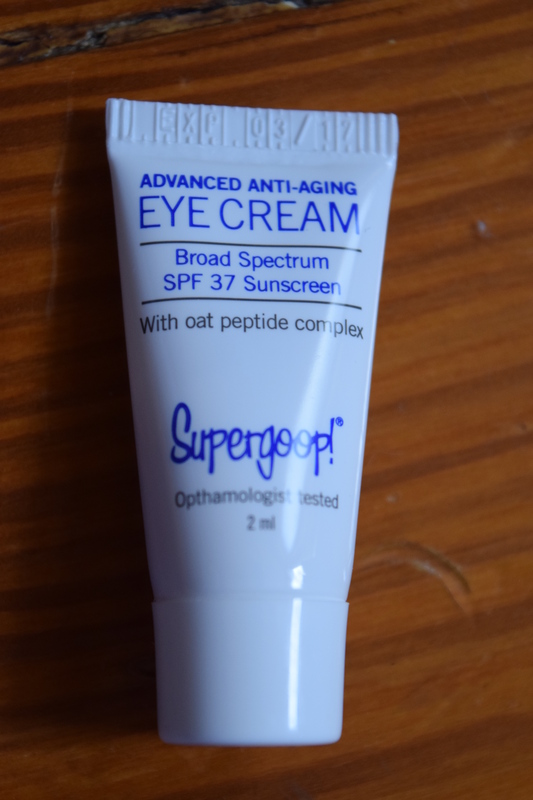 I actually love getting eye creams because I use them religiously and they tend to be pricey so getting to try them out is super helpful, but I’m not going to purchase from this brand so it’s a waste. This was the sample I chose for my box. 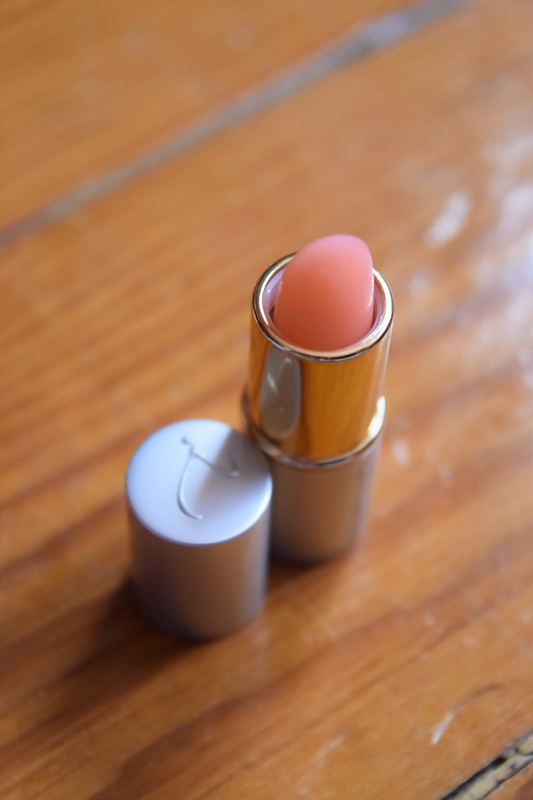 I’ve tried Jane Iredale products before and I was super excited about this. Unfortunately the “color adjusting” is non-existent. It didn’t work on my lips or my cheeks. It just comes out sheer. (Which is why I have no swatch for you.) I was really hoping it would work since the formula feels lovely and the packaging is adorable. I love getting bodywashes in boxes because they are an item I regularly use. 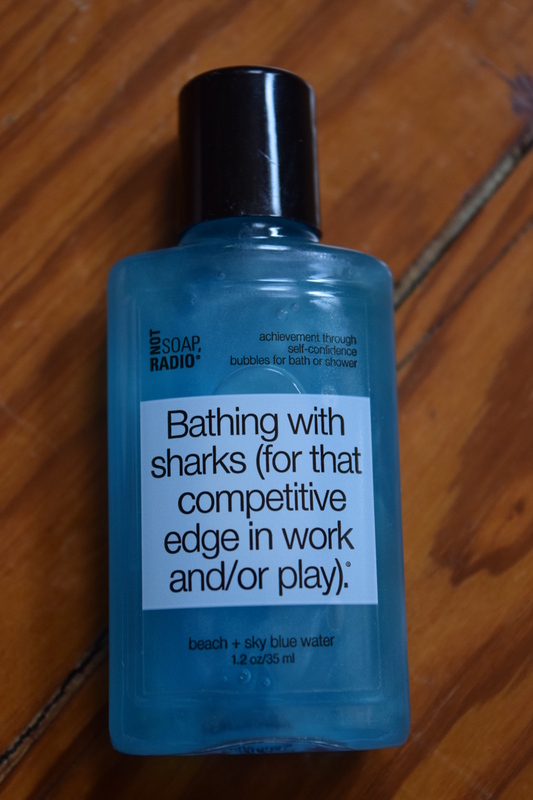 Ocean scented bath products are my favorite (along with citrus scents) so I was psyched to get this sample. The scent is not overpowering and is appealing for men or women. I would definitely consider grabbing a full size of this. I loved my plus item and the bodywash, and I’ll use the body butter, but the lip stain was a huge disappointment and this is my billionth (approximately) Supergoop! Product. 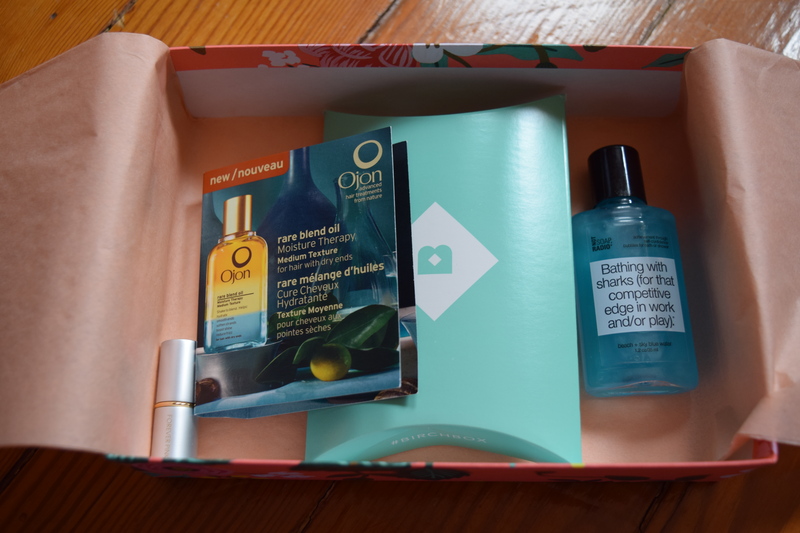 I really wish Birchbox would vary some of the brands we get in boxes. At the very least don’t include the same brand in back to back boxes. I paid $10.70 for this box (excluding the plus item that was paid for separately) and received $5.00 worth of credit in the Birchbox store so my total came out to $5.70. The only item I was really thrilled with was the bodywash, and even my selected item was sort of a bust. I’m hoping next month will be an improvement. 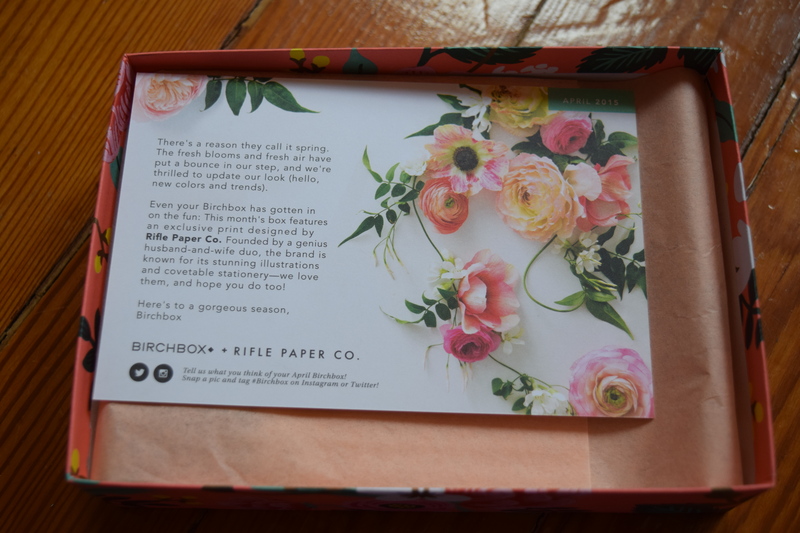 How was your last Birchbox? Did your sample choice wow or disappoint? I just got my box and I’m so disappointed. I filled out the profile completely and they sent me an eyebrow pencil in a shade I will never be able to use. My last box was missing a lipstick. Not sure if I’m going to keep subscribing. If you were missing an item, you should definitely shoot their customer service en email. I’ve had problems with orders and the customer service was always super helpful. 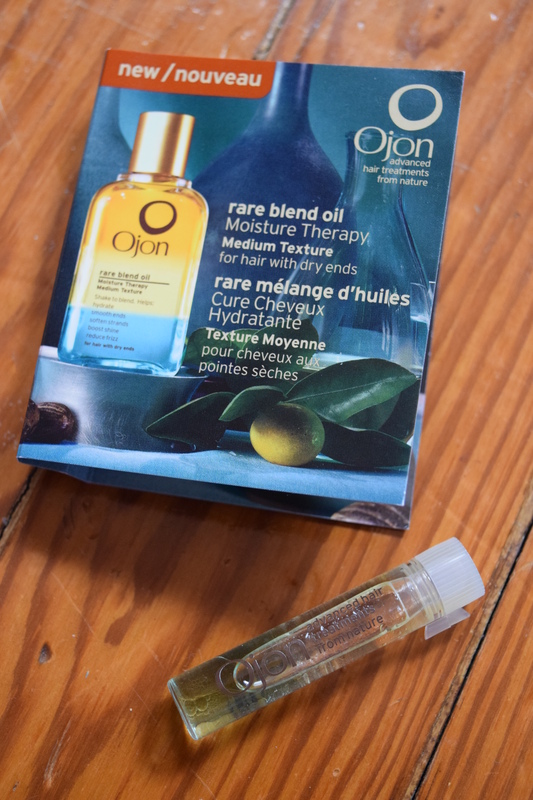 I did and they gave me a credit in the store, but I’m just not finding enough of products that appeal to me – hopefully next box will be better! Don’t forget to check out the accessories. They have some cute things that pop up from time to time!